China Telecom Corporation Limited has won five awards in total by The Asset, achieving remarkable results. The Company was accredited with "Platinum Award – Excellence in Environmental, Social and Governance" in the poll of "Corporate Awards 2018" by The Asset. 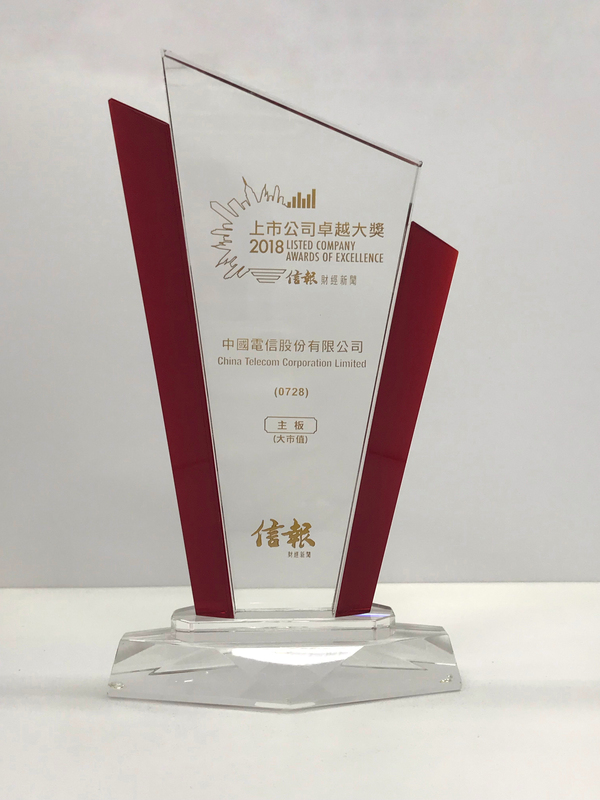 Only six companies have received the Platinum recognition for 10 consecutive years, of which China Telecom was the only telecommunications company that received such an honor. In addition, China Telecom and its Chairman and Chief Executive Officer, Mr. Yang Jie, were also honored with four other top awards. Organized by The Asset, a reputable financial magazine in Asia, "Corporate Awards 2018" is now in its 18th year, the longest running ESG awards in Asia. "Platinum Award" recognizes companies’ attainment in comprehensive categories of corporate endeavors: financial performance, management, corporate governance, social and environmental responsibility and investor relations. 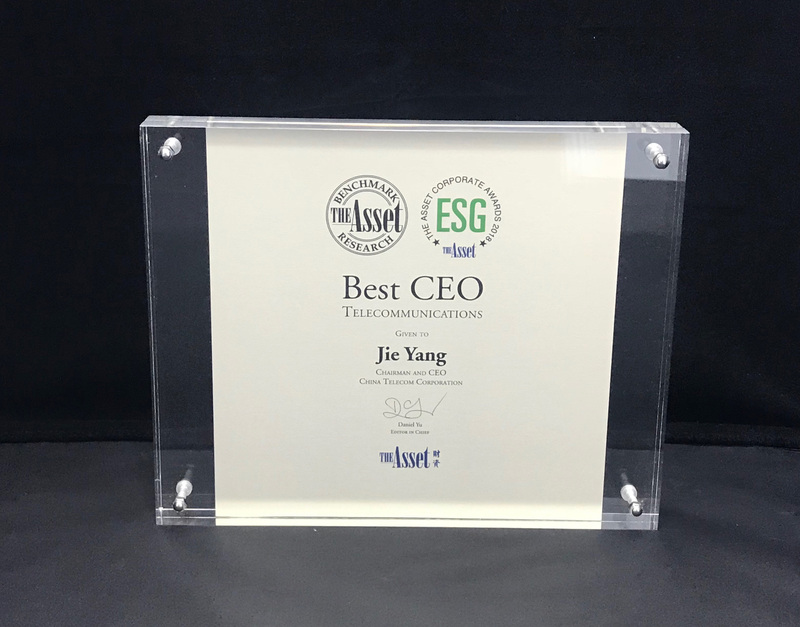 "Best CEO" rewards a range of leadership qualities and attributes including inspirational leadership, strategic thinking, team- and relationship-building, effective communication and change management. "Best Initiative in Diversity and Inclusion" honors companies which have adopted policies, programs and practices that promote and strengthen diversity and inclusion within the organization as well as in the community and industry. "Best Investor Relations Team" recognizes IR team’s contribution in terms of day-to-day achievements, successful troubleshooting and initiatives they have been taken in newer arenas. In addition, "Highly Commended Initiative in Innovation" honors companies which have designed and applied a business strategy that has taken the company to the next level by embracing new ways of doing business.